The Harlow Carr Flower School will run over a six month period and is aimed at those people who wish to pursue flower farming or floristry as a career in these industry tailored sessions. The course is run by Rachel Petheram (Catkin flowers) who is a florist, flower grower and teacher, alongside guest lecturers who bring their particular expertise to the course. 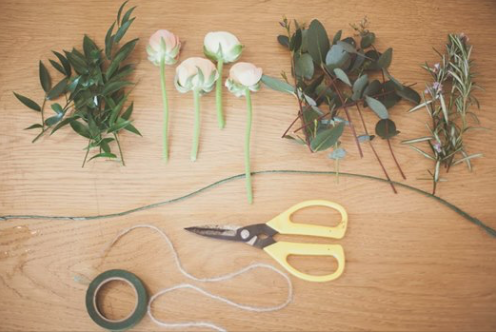 The course is tailored towards using seasonal and sustainable materials and will give you the knowledge and confidence to find your own style and kick-start a career with flowers or take an existing business to the next level. Dates: Thursday 31 January, Thursday 14 February, Thursday 14 March, Wednesday 10 April, Thursday 2 May, Thursday 13 June and Thursday 4 July. Session 1: Business of floristry, Rachel Petheram and Fiona Pickles (Firenza Flowers) Session 2: Sympathy flowers, Rachel Petheram and Gill Hodgson (Fieldhouse flowers) Session 3: How to make handtied bouquets, Rachel Petheram Session 4: Wedding flowers – Bridal Party, Rachel Petheram Session 5: Wedding flowers – Venue Flowers, Rachel Petheram Session 6: Event flowers- Installations, Rachel Petheram and Fiona Pickles Session 7: Wedding and Garden party flowers .Rachel Petheram and Fiona Pickles. For prices and further information ring 020 31765830. Sign up to our mailing list to gain access to our special offers and download our latest brochure! For great days out sign up to our mailing list! 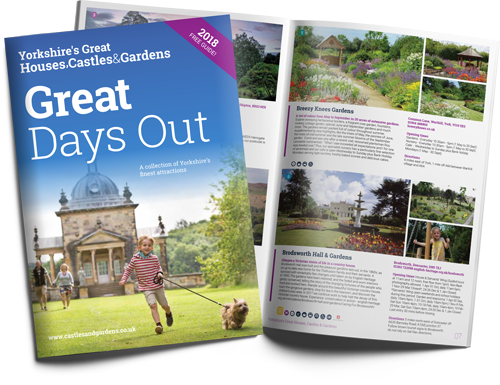 Join to receive the Latest News and Special Offers from Yorkshire’s Great Castles & Gardens.